TRAVEL IN TIME AND RECREATE TEOTIHUACAN CEREMONIAL CENTER. 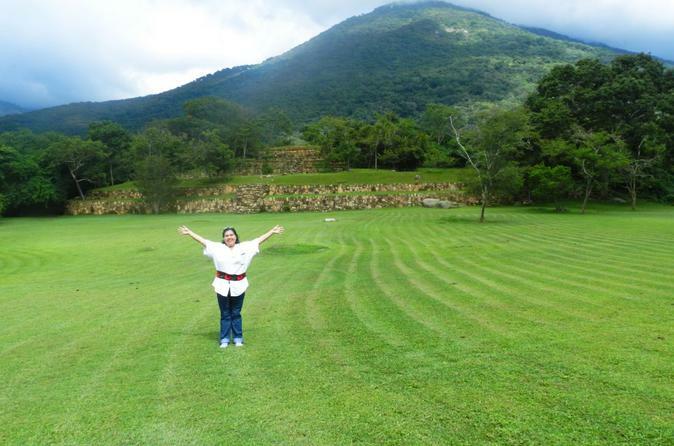 Tehuacalco is an archaeological site located near the city of Chilpancingo, Guerrero. It was the first archaeological site associated with the yope culture. The site is located on a hill surrounded by mountains, which were worshiped by the yopes. An ancient ceremonial center of yope culture being this one of the few dominions of late pre-Hispanic times that never was dominated the Mexicas. the cardinal points were marked by 4 mountains. The Mount La Compuerta was used to mark the solar events as equinoxes and solstices when the sun came out behind him. Tehuacalco was occupied as a ceremonial site. We will start the Adventure heading to the Highway Acapulco-Mexico to take the detour to Tehuacalco, During the trip you will enjoy the scenarios the mother nature has to offer, and your guide will provide details about our state, people, culture, gastronomy and the group of Yopes, who were the first inhabitants of the area of Yopitzingo. Tehuacalco is a ceremonial center and has structures with a style known in the past as Mexica style. We will visit the ceremonial center that is composed of several structures: The ball game field, the main temple, the palace among others. Engravings were found on the site such as the painted feet petroglyph, human footprints carved on a huge stone.